Quapaw Tribal Ancestry: Sources for research, genealogy, history, and information on the Quapaw Tribe and our history. Sources for research, genealogy, history, and information on the Quapaw Tribe and our history. Hereditary Chiefs: List of Hereditary Chiefs of the Quapaw Tribe from 1818-1918. Quapaw Clan Information: Information on the Quapaw Clans and their translations. Census for Quapaw Indians in April 1873: CAH HIC CAH TEDA, George Lane, & Lewis Quapaw. 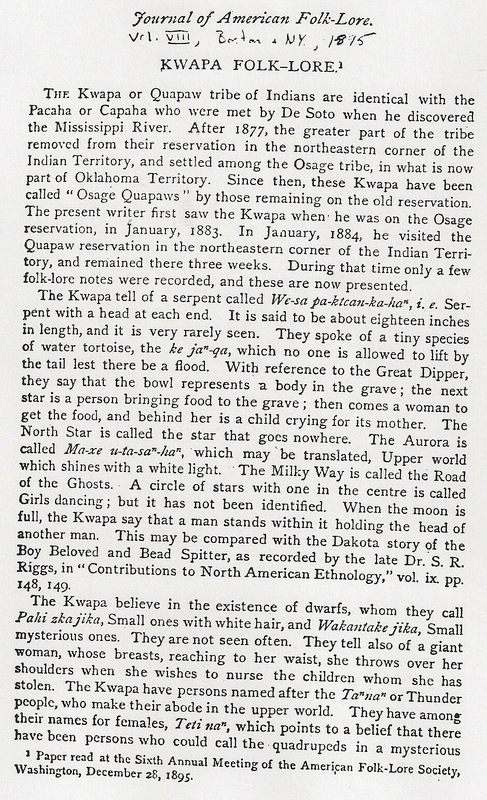 Quapaw Tribal Information Chronological Order: History and movements of the Quapaw Tribe. Quapaw Treaties .PDF : This is a .PDF copy of all 19th century treaties made between the United States and the Quapaw people. It gives the names of chiefs/head men/interpreters of the Quapaw. A great document for genealogy/family history research. In addition, you may want to look at the Clarence E. Carter’s, United States territorial paper series. Volumes 19, 20 and 21 are for the Arkansas Territory. Tall Chief / Louis Angel: Our webpage with information about Quapaw Tall Chief. Sam Houston Memorial Museum Historical Exhibit: "Photographs of Fred Lookout and Louis Angel are also on display. Lookout served the longest term (1924-1949) of any Osage chief in the 20th century. 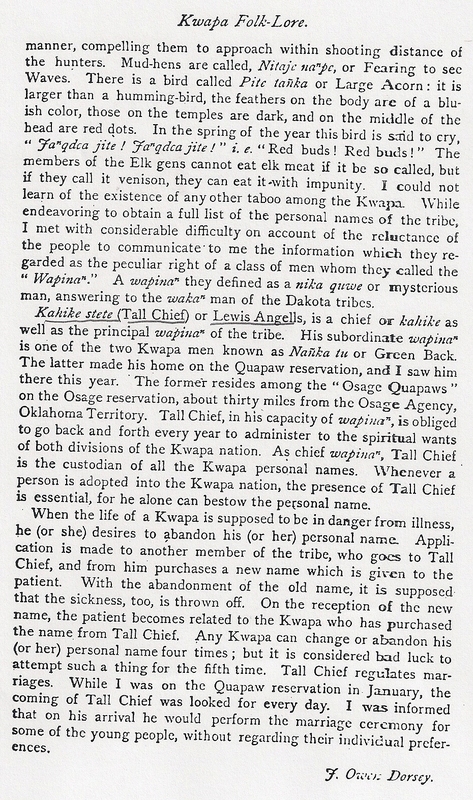 Angel, also known as "Tall Chief," was the last Quapaw chief chosen under the old-fashioned traditions. Some commentators refer to his as "the last real chief of the Quapaw." "
USS Quapaw links: Wikpedia on USS Quapaw, USS Quapaw.com. All documents referenced housed in Risë Supernaw Proctor library. Spellings of Chief’s & Names varied by interpreters, documents and years.